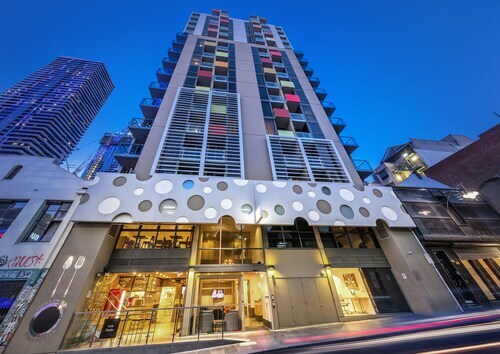 Located in Melbourne Central Business District, this apartment building is within 1 mi (2 km) of Marvel Stadium, Melbourne Central, and University of Melbourne. Melbourne Cricket Ground and Rod Laver Arena are also within 3 mi (5 km). Flagstaff Station is 9 minutes by foot and Southern Cross Station is 9 minutes. 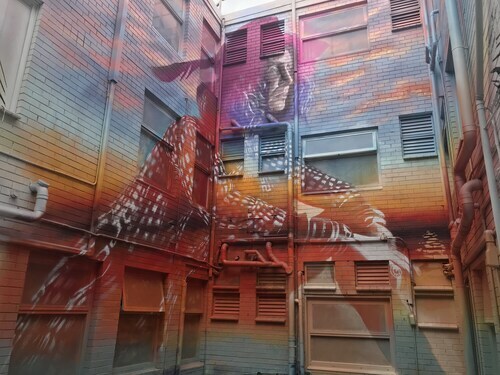 Located in Melbourne Central Business District, this hotel is within a 15-minute walk of Festival Hall and Queen Victoria Market. Marvel Stadium and Melbourne Central are also within 1 mi (2 km). Flagstaff Station is 9 minutes by foot and North Melbourne Station is 14 minutes. Positioned 3 kilometres to the west of the heart of Melbourne, the state capital, you can find the great neighbourhood of West Melbourne. Are you obsessed with big attractions such as the Crown Casino and Entertainment Complex, Federation Square and St. Kilda Beach? You can find them in Melbourne. Thinking of heading to West Melbourne? Queen Victoria Market is a worthwhile sight to take a squiz at. Check for any guided tours and learn all about ancient civilisations at The Hellenic Museum. Want to hit the hay near this place? Try the Park Hyatt Melbourne and Grand Hyatt Melbourne. There is no better place to chill out than at Flagstaff Gardens. For this place, take a look at the Docklands Private Collection of Apartments - NewQuay and The Westin Melbourne. A fantastic West Melbourne cafe, The Metropolitan Hotel is well worth popping into. Sit back with a good book, treat yourself to a sweet piece of cake or just grab a coffee to go. All of that sightseeing can certainly take it out of you. Fortunately, Vibe Savoy Hotel dishes up nutritious meals that'll be sure to satisfy even the most ravenous of travellers. If you wouldn't mind a couple of beers before you call it a day, why not pop into Nomads Melbourne? Who knows, the bartender may even have some tips on what you can do tommorow! If you are having problems finding the perfect hotel deal in West Melbourne, look into the NewQuay Promenade hotels guide. Alternatively, the Wotif Docklands hotels guide has options for you. 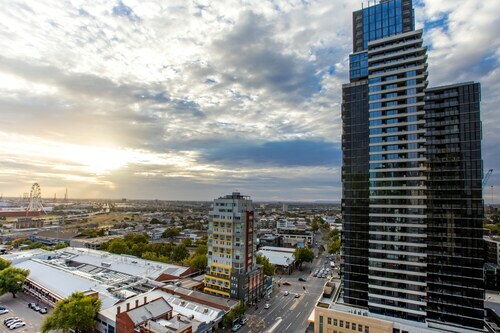 From West Melbourne accommodation to flights, car hire and activities, Wotif has you covered! How Much is a Hotel Room in West Melbourne? 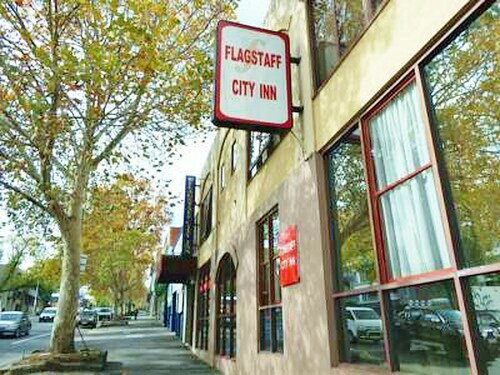 Hotels in West Melbourne start at AU$72 per night. Prices and availability subject to change. Additional terms may apply.